‘Tis the season – if you ask any high-street retailer, whose windows are bound to be decked with boughs of holly. For the rest of us, though, it’s not holiday season but Brexit season. Last week saw the release of the draft withdrawal agreement and with it a flood of criticism, commentary, speculation, and general tumult. We’re in for a “transition period”, lasting from April 2019 to at least the start of 2021. 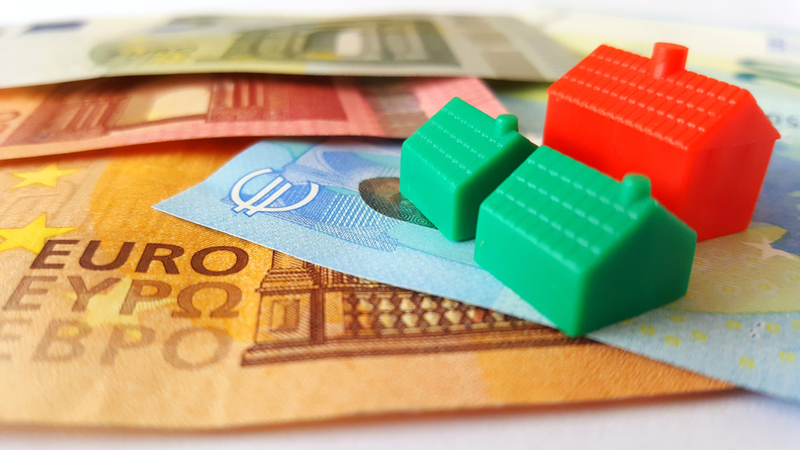 However, what does it all mean for property investment? Let’s look in more detail. During the “transition period”, the UK will no longer hold membership to EU institutions. It will, however, have to follow all EU rules. So it’ll be in all the same clubs, but without a vote in any of them. The BBC’s Chris Morris says: “The UK will have no formal say in making or amending EU rules and regulations, but it will have to follow them to the letter. The great advantage of transition, of course, is that it buys more time for businesses and governments to prepare for a new regime, and it smooths the path out of the EU.” The transition period is likely to be the last period of great uncertainty; after that, there should be a much clearer view of how a post-Brexit Britain will look. Moreover, if, after the transition period, there isn’t a deal which wouldn’t impose a hard border in Ireland, the “backstop” comes into play. This would put the UK and the EU in a “single customs territory” – which is a politician’s way of saying “customs union”. So, based on the draft, it seems difficult to imagine total disaster is just around the corner. The problem now, though, is not so much Brussels but Westminster. Brexit is proving (unsurprisingly) to be a pretty troublesome issue, leading to sackings and resignations all over the place. Immediately after the draft agreement was finished, Brexit Secretary Dominic Raab resigned to be replaced by Stephen Barclay, the third Brexit Secretary in six months. Theresa May has come under fire from all sides: Jacob Rees-Mogg is attempting to force her out of Number 10; she’s been accused of fuelling hate crimes, and naturally, Labour hate the draft with a passion. It seems likely that fallout like this will occur whenever any step is taken in the Brexit process. However, these disruptions are short-term; the important thing for property markets is that we move towards certainty (whatever that looks like). Uncertainty is, of course, any market’s enemy. Coutts, a very exclusive private bank, says “many investors have decided to go into wait-and-see mode given the uncertainty surrounding the final stages of Brexit talks”. This implication is that there aren’t any particular fears they have about the market – investors just want to know what’s going on before investing. What the draft agreement does is bring the UK a step closer to agreeing on the terms of Brexit. Short-run turmoil aside, this can only be a good thing. Especially with the backstop in place (which would leave Britain’s trade terms essentially unchanged), it seems like a worst-case scenario wouldn’t be too damaging to markets. This is particularly true of the property market. Rightmove said: “the underlying fundamentals for a stable property market remain sound.” While Brexit uncertainty can deter investment; there’s no reason why this should affect the fundamentals. Investors like to know what the future will be like as much as possible; Brexit negotiations obscure Britain’s future even if there’s no reason to believe they’ll disrupt the supply or demand of UK property. When we know what Brexit will look like, investors are likely to have more confidence. When the transition period is over, we will have better foresight – and its foresight that investors want. Clearer foresight combined with strong fundamentals makes for a healthy market. All in all, the draft withdrawal agreement doesn’t change much for Brickowner or our investors – in a good way. Political backlash was inevitable, whatever May produced – more skittish investors may have more confidence in post-Brexit Britain now that a draft (that doesn’t look disastrous) has been produced. Moreover, for the majority, who look at the real, tangible fundamentals of an investment, there’s nothing in the draft to suggest anything other than a stable future for UK property. Once the short-term political storm is weathered, we might look back and think that, as far as property is concerned, it wasn’t much bigger than teacup-sized after all. ‘Tis the season indeed.